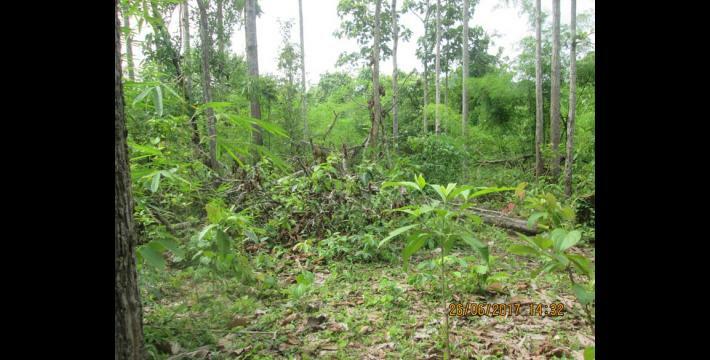 In June 2017, Tatmadaw Infantry Battalion (IB) #283, IB #31, local business people and a Karen National Liberation Army (KNLA) company commander from Battalion #17 conducted logging in community forests in violation of village rules. Tatmadaw Light Infantry Battalion (LIB) #406 was quartered at a monastery and a house in P--- village Kyainseikgyi Township. P--- villagers submitted a complaint letter to the Karen National Union (KNU) District office in opposition to the Tatmadaw quartering but no response has been received. Many schools in Win Yay Township face challenges such as a shortage of available school teachers, a reduction in financial support for some schools, and a lack of accountability for the performance of some Burma/Myanmar government teachers. 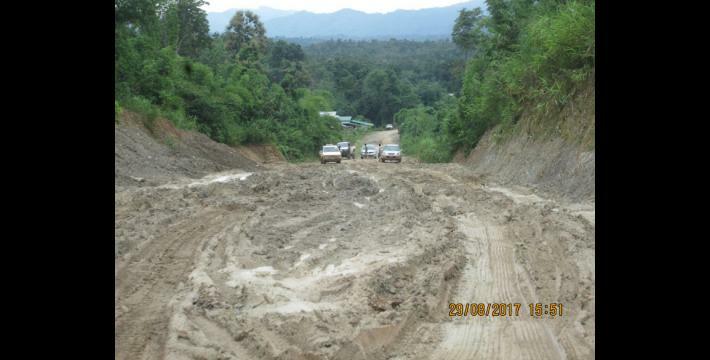 Villagers whose land was damaged by road construction for the Than Phyu Zayet-Three Pagodas Pass road have not received compensation and feel that the overall road construction process lacks transparency. One major challenge villagers faced in Win Yay Township is land confiscation by the Burma/Myanmar government and by the Tatmadaw. Without access to land, villagers have difficulty securing their livelihoods. Internally Displaced Peoples (IDPs) and refugees who relocated to an area with houses constructed by the Nippon Foundation faced difficulties accessing water, education, healthcare and were concerned about their security. Consequently, some refugees returned their houses to the local authorities and went back to the refugee camp from which they had left. The following Situation Update was received by KHRG in September 2017. It was written by a community member in Dooplaya District who has been trained by KHRG to monitor human rights conditions. It is presented below translated exactly as originally written, save for minor edits for clarity and security. This report was received along with other information from Dooplaya District, including six interviews and 180 photographs. 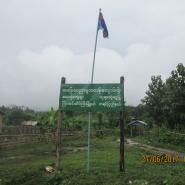 This Situation Update describes events occurring in Win Yay Township and Kyainseikgyi Township, Dooplaya District during the period between June 5th and August 31st 2017, including Tatmadaw activity, education, healthcare, development projects, land confiscation, and recently returned Internally Displaced Peoples [IDPs] and refugees. 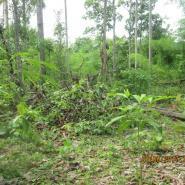 Although the Tatmadaw has not conducted significant military activity in Win Yay Township, Dooplaya District, they are violating village rules by cutting down trees in the community forest (Inn Taw [T’la aw forest]), burning logs to make charcoal and then transporting the charcoal to town to sell it. Some Tatmadaw soldiers from Infantry Battalion [IB] #283 based in Kyainseikgyi are also cutting down [villagers’] trees in M--- village, Kwin K’saw Kyi village tract, Win Yay Township, and selling villagers’ flowers [gathered from the felled trees] for business purposes; they sold the flowers at a rate of 2,500 kyat (US $1.86). The Tatmadaw soldiers who organised the logging are [IB #283] Camp Commander Myat Lin and [IB #283] Battalion Commander Aung Shwe Oo. In March 2017, before they [Myat Lin and Aung Shwe Oo] began conducting the logging, Strategic Operations Commander Myo Tun Win from Southeast Command Headquarters officially requested and secured permission from the Karen National Union [KNU] in Win Yay Township to log seven tonnes of trees. After a new Strategic Operations Commander replaced Myo Tun Win and a new A’nan Kwin Operations Commander, Aung Thite Tun, was appointed, IB #283 Battalion Commander Aung Shwe Oo secretly cut down the rest of the trees [more than the seven tonnes requested by the Southeast Command Headquarters] without permission, burned the logs to make charcoal, and then sold the charcoal in the town. Afterwards, a KNU official in charge of the forestry department scolded the village head and villagers, asking them, “Don’t you know about what happened? !” According to some villagers, villagers’ lives are like salt amongst peanuts [they lack power and struggle against powerful actors]. After the KNU said that nobody is allowed to conduct logging, local villagers who merely wanted to use some trees for their personal house construction were prevented from logging and were arrested but no one [in authority] cared about [prevented] the logging conducted by wealthy individuals in N--- village, Kawkareik Township, which was transported by cars and crossed checkpoints before being sold in the town. According to the N--- village head, villagers want business people from towns, local residents and local armed groups to respect and follow the KNU [forestry] law and they want the KNU to enforce the KNU forestry law [equally for everyone]. Although the KNU does not allow anyone to conduct logging in O--- village, Kru Kyi village tract, Kyainseikgyi Township, a Karen National Liberation Army [KNLA] company commander from Battalion #17 has secretly been conducting logging and so the KNU ordered the O--- village head to arrest the KNLA company commander. However, when the O--- village head went to arrest the KNLA commander, he was threatened and told not to report the incident [to top KNLA leaders]. Although the village head said that he can forgive the KNLA company commander for what he has done [his threat to the village head], he [village head] also said that it was not good that he was intimidated and wanted a report about this incident to be recorded and kept by KHRG in case something further happened to him. On May 9th 2017, Light Infantry Battalion [LIB] #406 Battalion Commander Si Thu Aung and his 25 soldiers under Column #2 quartered at a monastery in P--- village, Kyainseikgyi Township. As the monastery was not comfortable for them [Tatmadaw], they requested village head Saw Z--- to give them permission to be quartered at Saw Y---‘s house that nobody lives in. The village head allowed them to quarter at that house and the Tatmadaw said that they will return to Q--- village by the end of June 2017. As local villagers did not accept or want the Tatmadaw to base their camps in their village they submitted a complaint letter to the KNU District office. In addition, after the Tatmadaw heard about activity by the Democratic Karen Buddhist Army [DKBA] (splinter group) led by Bo San Aung they became more active, primarily in Kawkareik Township. This was a major concern for civilians. 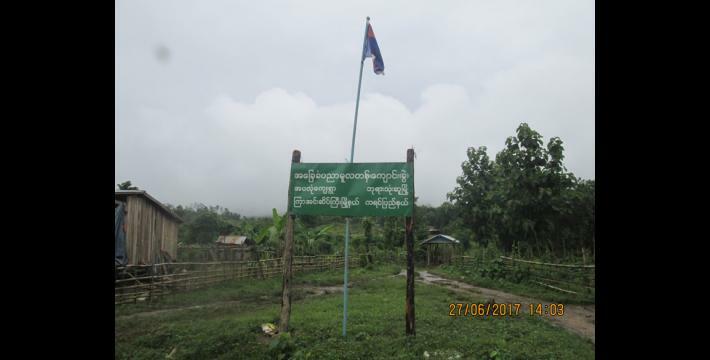 As of August 29th 2017, the Tatmadaw camp in Win Yay Township relocated to R--- village, Meh Tha Lee village tract. After they left their temporary army camp, the village secretary dismantled their camp. According to information documented and photos taken during the period between June 5th and July 21st 2017 in Win Yay Township, Dooplaya District, the education situation has improved overall. 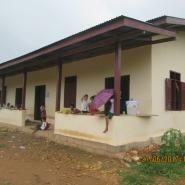 Nevertheless, [in some villages] there are currently no Burma/Myanmar government teachers at local schools that the Burma/Myanmar government constructed. Therefore, villagers have to hire local school teachers to teach their children. There are only three school teachers in A’pa Lon village, Meh Tha Lee village tract but as there are 74 students it is difficult for these teachers to teach those students. School teachers, who are hired by villagers, also do not get a good salary so it is difficult for them [school teachers] to support their family. Furthermore, the KNU is also not fully supporting local schools. Saw X---, a member of the local school committee, said that a senior monk from the Buddhist temple in Three Pagodas Pass is no longer supporting local schools because of lack of budget and is supporting his followers instead. Although villagers reported it [education situation] to the Burma/Myanmar government, they have not yet received a response. Burma/Myanmar government teachers are present in other villages but as some of these teachers use social media and play games with their smartphone during school hours, villagers want the Burma/Myanmar government to more closely monitor whether or not the Burma/Myanmar government teachers are interested in teaching and enforce stricter rules to improve the situation. 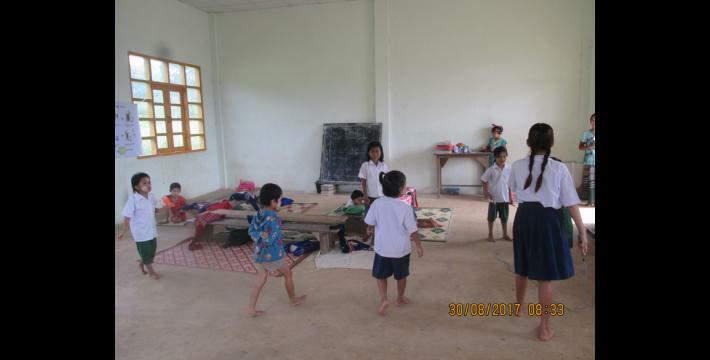 Additionally, villagers from A’pa Lon village and Myaing Thar Yar village reported that some schools do not have sufficient educational materials such as chairs and tables. Villagers from Myout Kwin Phyu village reported that children still have to study at church. Nevertheless, as these schools are allowed to teach the Karen language [during school hours], we can say that it [education] has improved. Also, there are some concerns in Kawkareik Township because Tatmadaw came to base their temporary camp in both the Buddhist temple’s compound and the school’s compound. During the period between June 5th and July 21st 2017, only a few people in Win Yay Township, Dooplaya District suffered from malaria. Nevertheless, a child from Wa Lu village, Kyainseikgyi Township died in June 2017 because the child had bird flu [H5N1]. In addition, many villagers from Kyout Kwin Phyu village, Dawei Pauk village tract, Win Yay Township have suffered from flu and travelled to Kyainseikgyi hospital to receive medical treatment despite ongoing floods during the rainy season and therefore faced many survival challenges. This year, villagers from Shel Eain Su village and Myout Kwin Phyu village said that they have faced serious difficulties due to health issues and must overcome many healthcare problems. However, although the Burma/Myanmar government is very familiar with this situation, they have not yet come and built clinics in these villages. Development projects are increasingly being implemented in Kyainseikgyi Township and Win Yay Township, Dooplaya District, and villagers gain many benefits from these development projects. Villagers travel more easily, can communicate with each other quickly and their overall standard of living is improving. However, development projects also have negative consequences. Some villagers are aware of these [negative consequences] but some villagers are unaware because they lack experience and knowledge about development projects. Thus, they easily believe everything local authorities, government officers and business people say [regarding development projects]. The Than Phyu Zayet-Three Pagodas Pass road will be constructed up to 230 feet wide in the future. 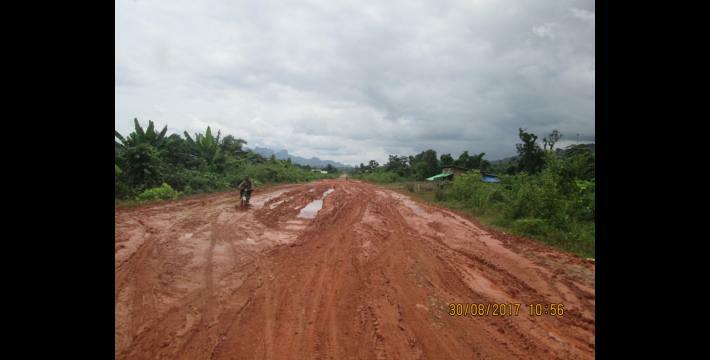 U Tin Myo Oo, the current NLD parliament representative from Kyainseikgyi Township, has said that this road construction project will be part of the Asian Highway and has been officially accounted for in legal documents. However, villagers have still not yet received any compensation for damage caused by road construction and have currently only been able to observe the situation. Although villagers understand their rights, they have difficulty claiming their rights in KNU controlled areas. 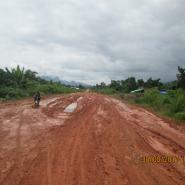 Moreover, some villagers also feel that there is a lack of transparency [regarding the road construction process]. Villagers want land grants from the Burma/Myanmar government but local KNU authorities do not permit anyone to measure land [in order to obtain the Burma/Myanmar government’s land grants]. In Kyainseikgyi Township, the unknown company confiscated villagers’ lands along the road which goes to Three Pagodas Pass for the road construction project. Villagers’ lands and plantations were also damaged. 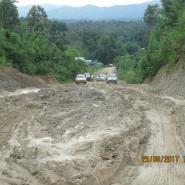 This road construction project was drawn by the Burma/Myanmar government. 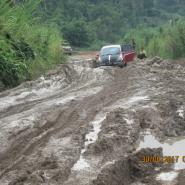 The company approached the Karen National Liberation Army [KNLA] to provide security for them when they constructed the road in order to prevent villagers from trying to act against them. As the owners of the land which was impacted by road construction only possess KNU land grants, villagers wanted to know why the Burma/Myanmar government do not recognise their KNU land documents. Villagers remain silent until now because they are afraid to say anything related to the land confiscation case due to the involvement of the KNLA in it. Saw Moe Eh Doh, the Dooplaya District vice secretary, said that more land will be confiscated in the future unless villagers fence their land for the next three years, during which time the KNU will revise their land policy. Villagers did not speak out against it [the KNU land policy]. However, this does not necessarily mean that they love the KNU leaders [fully support KNU decisions]; one reason why they did not speak out is because they did not want to negatively affect the reputation of the Karen ethnicity. The Burma/Myanmar government has confiscated villagers’ land in U--- village, Kyain Shwe Doe village tract, Kyainseikgyi Township but they have not returned the land to villagers. Even though villagers reported this incident to representatives of parliament, they have not received a response from anyone. Mainly, villagers work on plantations and farms and therefore need land to secure their livelihoods. However, due to the land confiscation there are currently only 80 acres of land left for villagers to use. [Tatmadaw] Strategic Operation Command Group, based in Kyainseikgyi Township, also confiscated villagers’ lands. Nevertheless, they do not actively use their confiscated lands and instead just keep it as empty space. 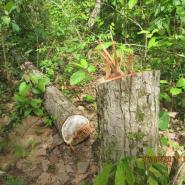 There are rubber plantations, lemon plantations and lime plantations located in the confiscated lands. U Tin Myo Oo, the parliament representative from Kyainseikgyi Township, says that in this case, there is still hope for villagers [it may be possible to reclaim these confiscated lands]. 300 houses were constructed in V--- (S---) village, Kyainseikgyi Township. This housing construction project was [constructed by Shwe Min Ta Mun Public Co. LTD] funded by the Nippon Foundation for use by IDPs and refugees. However, on July 12th 2017, refugees began to return those houses to local authorities because of difficulties accessing water, education, healthcare and electricity. Additionally, they could not guarantee their security [in V--- village]. Even though the Nippon Foundation supported these IDPs and refugees, the Burma/Myanmar government did not provide any assistance to these IDPs and refugees. Consequently, although the KNU in Dooplaya District had already accepted these IDPs and refugees, some refugees left their houses and went back to the refugee camp. According to the information I [KHRG researcher] have collected in Win Yay Township, Dooplaya District, the education situation has improved slightly because school construction is implemented in rural areas; nevertheless, there are not enough school teachers at schools. 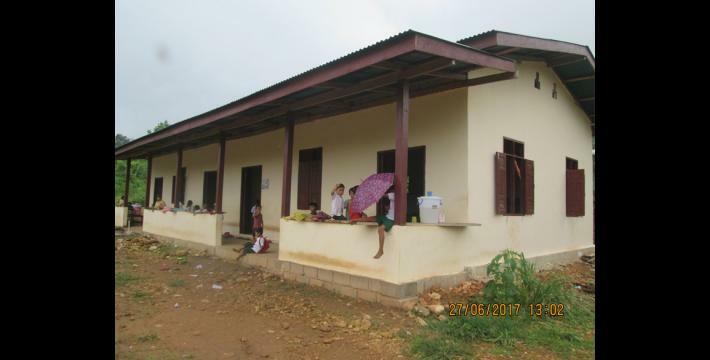 Although there is a limited amount of support provided to schools in Karen State, there are an insufficient number of school teachers and school materials available. 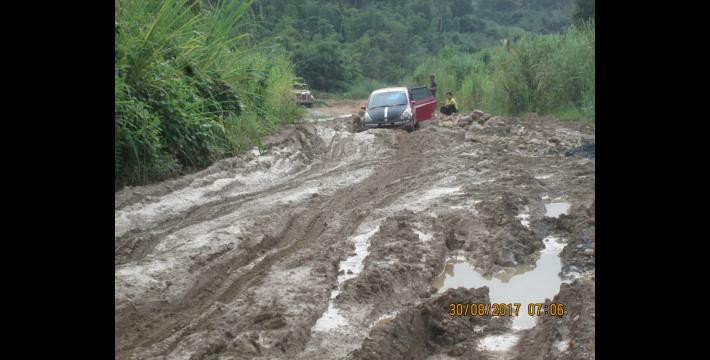 Roads have been extended and many roads are being constructed along the border but many of the roads were poorly constructed. After just one year of use, many roads are already damaged. Several bridges also collapsed during the rainy season. As the Ministry of Road Construction is not actively monitoring this situation they are unaware of these recent developments. Both in the past and in the present, villagers face many healthcare challenges. Currently, if villagers are sick, they travel to the hospital in town because health workers are sometimes absent from local clinics and because medical supplies are insufficient. There is now a Win Yay Township hospital; this benefits villagers because villagers can at least access medical treatment quickly if they are sick. Before the roads were constructed and extended, villagers were afflicted with fewer diseases and car accidents and motorbike accidents were rare. After the completion of recent infrastructure projects, including road and hospital construction projects, many villagers have become sick because of pollution. Additionally, due to dust in the summer and damage to roads and bridges during the rainy season, car accidents were very frequent. Moreover, as the population has increased and many people live together in the village, more clinics need to be constructed. Villagers wanted to build a clinic in N--- village, Kawkareik Township but the Kawkareik Township administrator did not give permission to villagers to build a clinic. Development projects have improved villagers’ ability to travel. However, business companies, governments and armed groups do not sufficiently consider the negative consequences development projects have on villagers. Regarding military recruitment, the DKBA (splinter) annually demands at least one person from each village to join their army. Villagers from N--- village, Azin village tract, Kawkareik Township reported that they have to pay 3,000,000 kyat (US $2,239.31) to the DKBA if they do not want anyone in the village to be recruited. Furthermore, each house has to pay four baskets of rice [as tax] to the DKBA. Although villagers are happy to pay taxes to the KNU, as there are many armed groups that villagers also have to pay taxes to they face significant livelihood challenges. Villagers reported that while in the past they were more fearful of the Tatmadaw, they are currently more fearful of Karen armed groups. Tatmadaw are active across Dooplaya District but in different ways than they were before. They regularly patrol as security guards and monitor any activities taken by the DKBA (splinter) led by Bo San Aung. 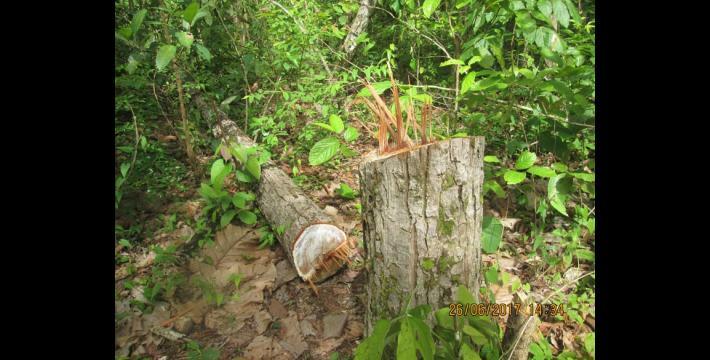 One negative action conducted by the Tatmadaw that I [KHRG researcher] want to highlight is that the Tatmadaw is cutting down the community forest owned by villagers. I [KHRG researcher] want to conclude that this Tatmadaw activity should be restricted. All conversion estimates for the kyat in this report are based on the 22nd January 2018 official market rate of 1,342 kyats to US $1. The Strategic Operations Commander typically has under his regional command, three to four battalions and a headquarters, mostly for defence. For more information about this incident, please see the following news article: “Myanmar reports outbreak of H5N1 bird flu on poultry farm: OIE,” Reuters, July 2017. For an example of the negative consequences of development in Dooplaya District, please see, “Villagers raise concerns regarding proposed stone mining and cement production in Win Yay Township, Dooplaya District,” (KHRG, January 2018) and “Dooplaya Field Report: A quasi-ceasefire? Developments after the Nationwide Ceasefire Agreement, from January to December 2016,” (KHRG, September 2017). KHRG previously reported on the construction of these houses in “Dooplaya Situation Update: Kyainseikgyi Township, February to May 2017,” (September 2017, KHRG). KHRG reported in that situation update that villagers were dissatisfied with the houses because of livelihood challenges due to the lack of accompanying farmland. Tactical Commander General (Bo) Saw San Aung is a low-ranking but widely known commander of the DKBA (Buddhist) splinter group which was formed from a breakaway group of DKBA (Benevolent) in January 2016 in Hpa-an District. Prior to the formation of the DKBA (Benevolent) splinter group, Bo San Aung had been twice dismissed from DKBA (Benevolent) for his conduct. See, “DKBA sacks Brigadier General Saw Kyaw Thet and Colonel Saw San Aung,” Mizzima, July 2015. DKBA (Benevolent) splinter group have been active in fighting in the Hpa-an District, see "Recent fighting between newly-reformed DKBA and joint forces of BGF and Tatmadaw soldiers led more than six thousand Karen villagers to flee in Hpa-an District, September 2016,".